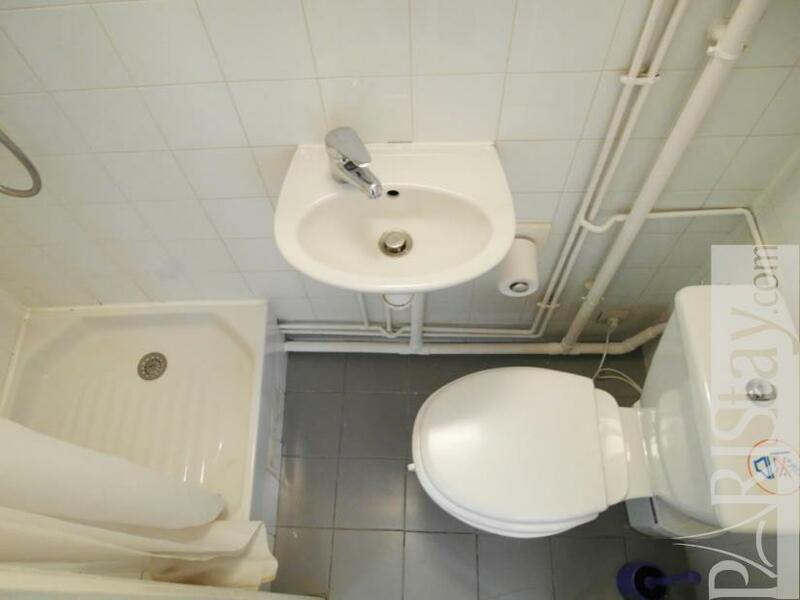 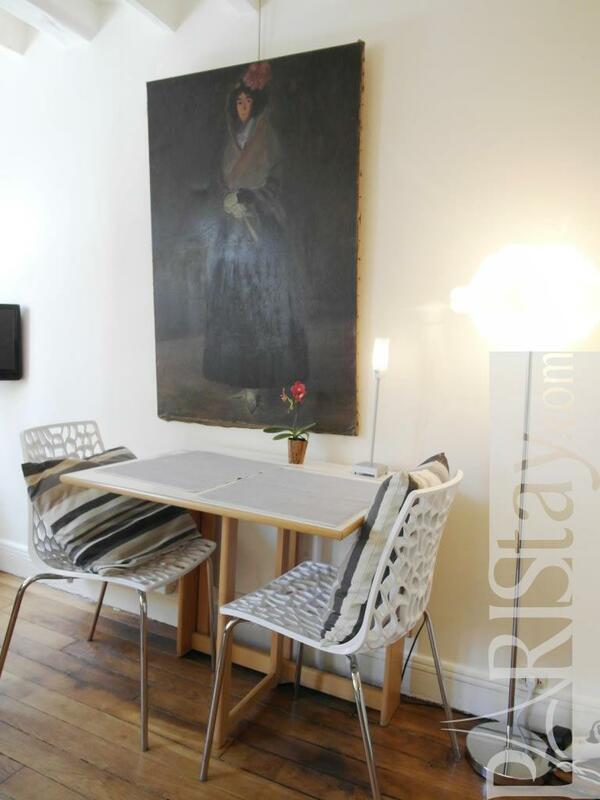 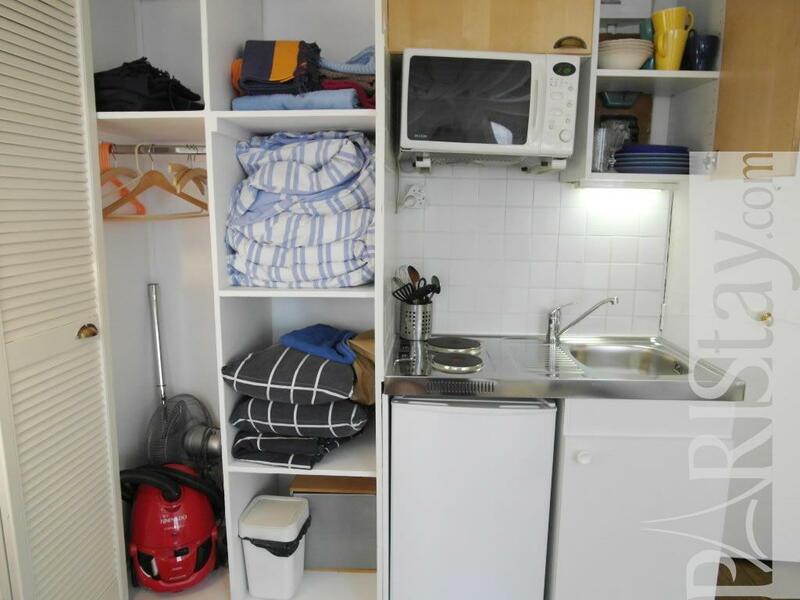 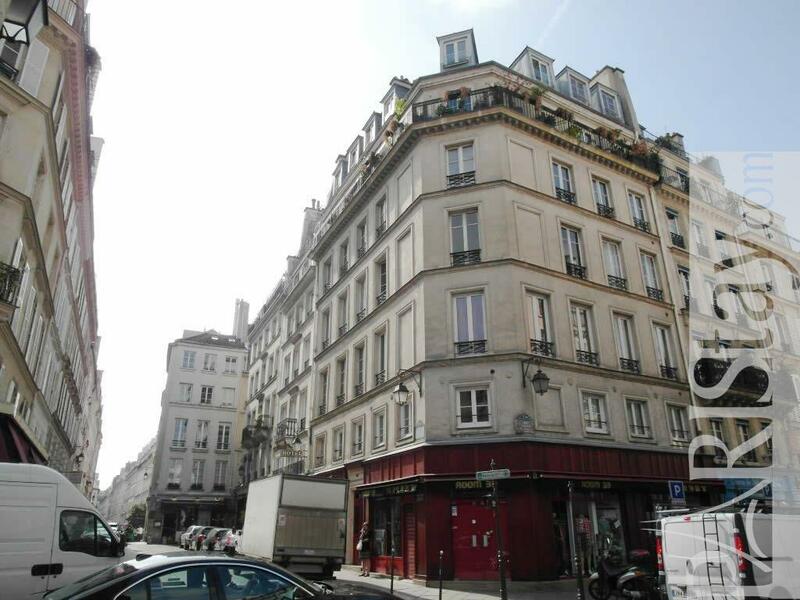 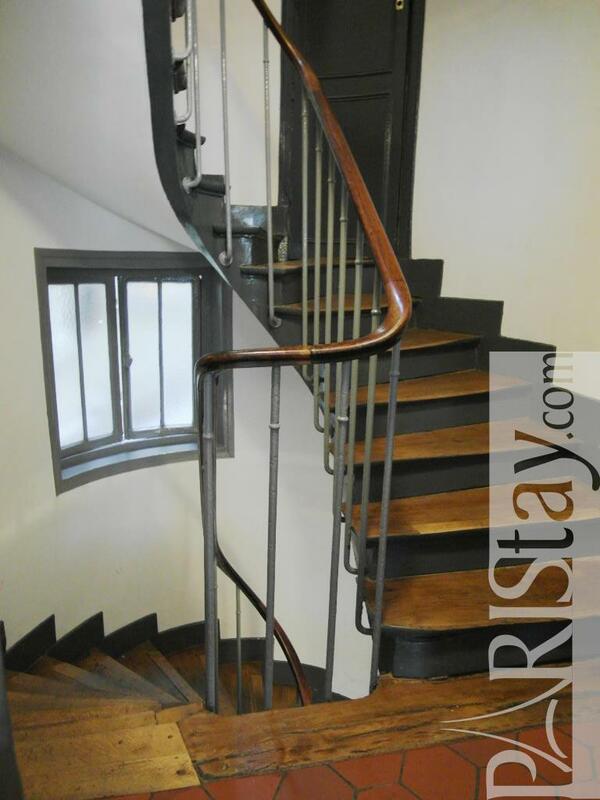 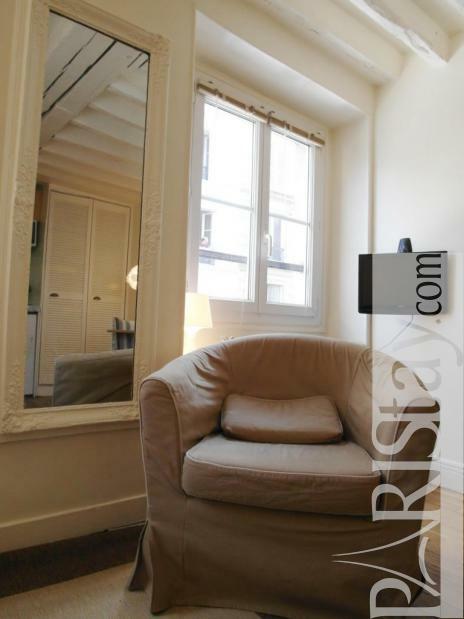 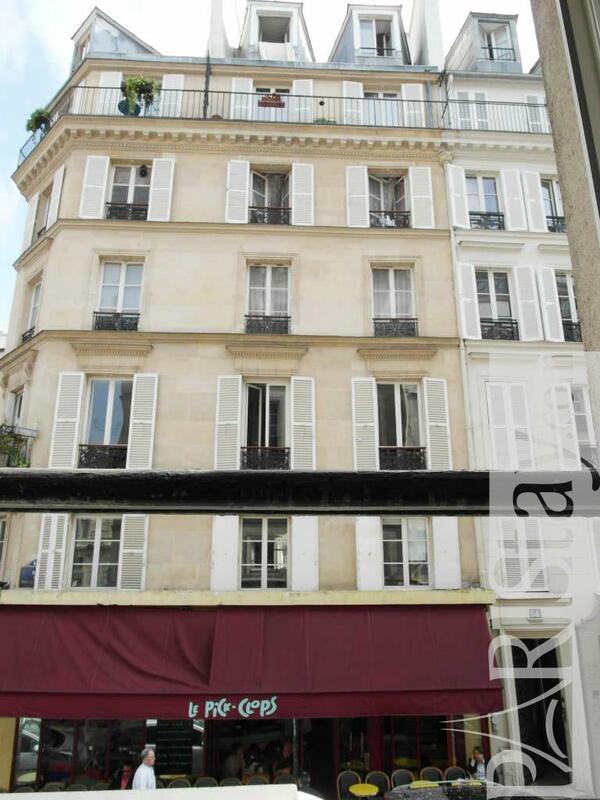 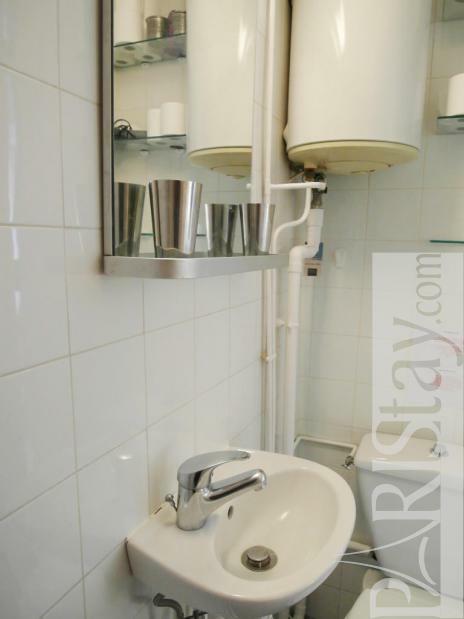 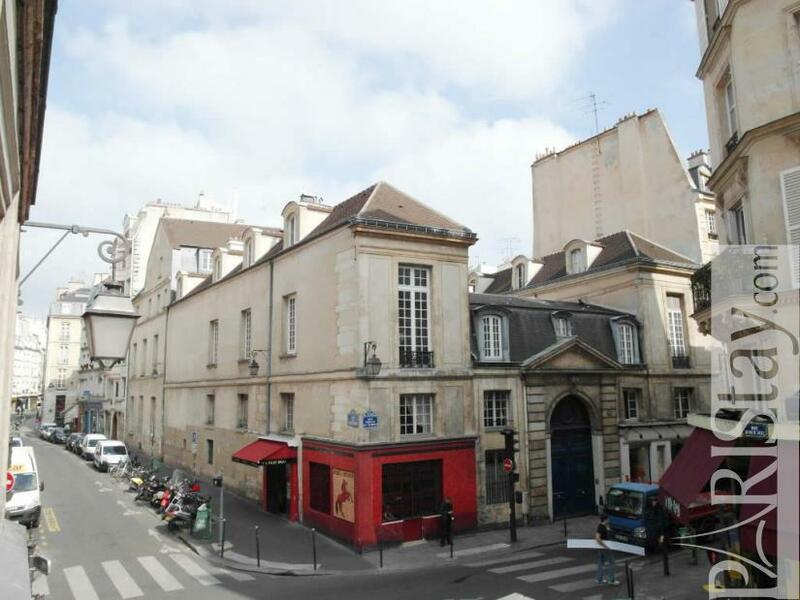 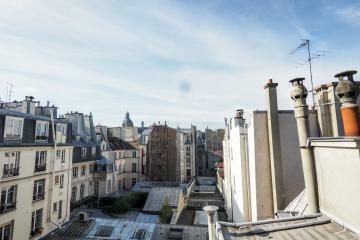 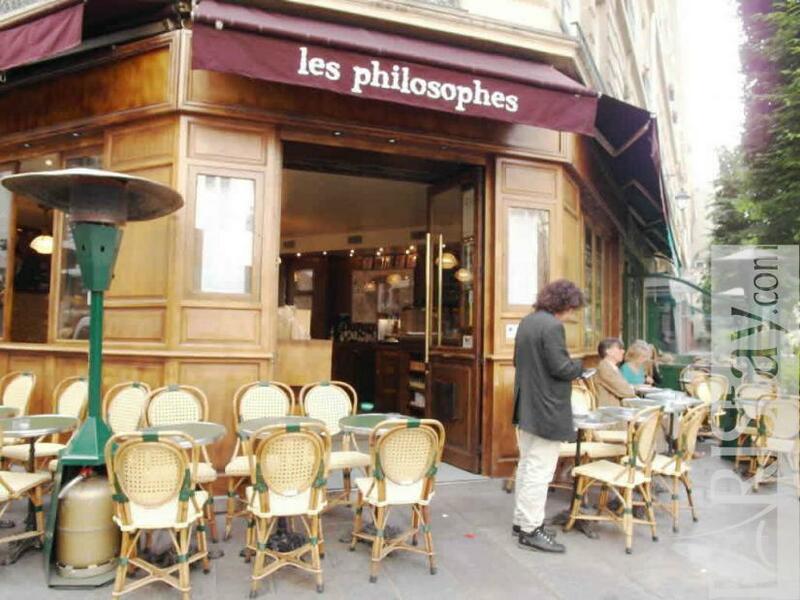 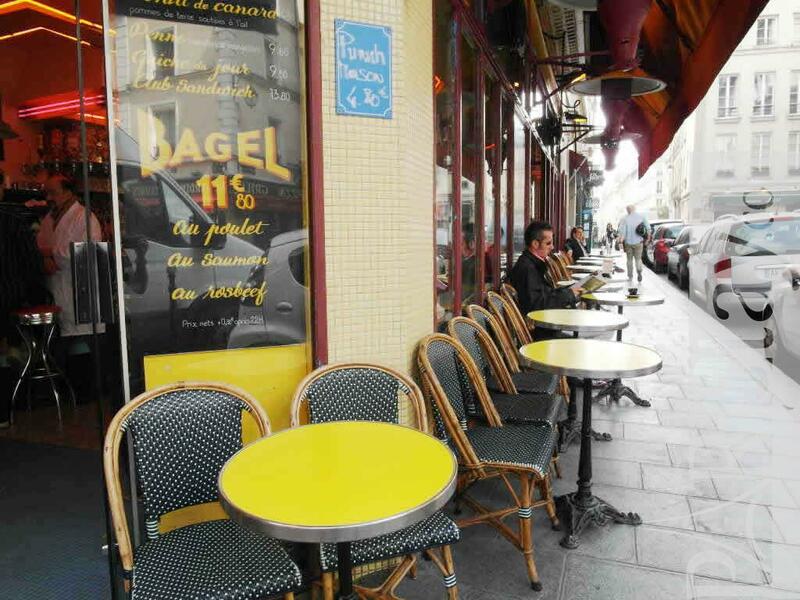 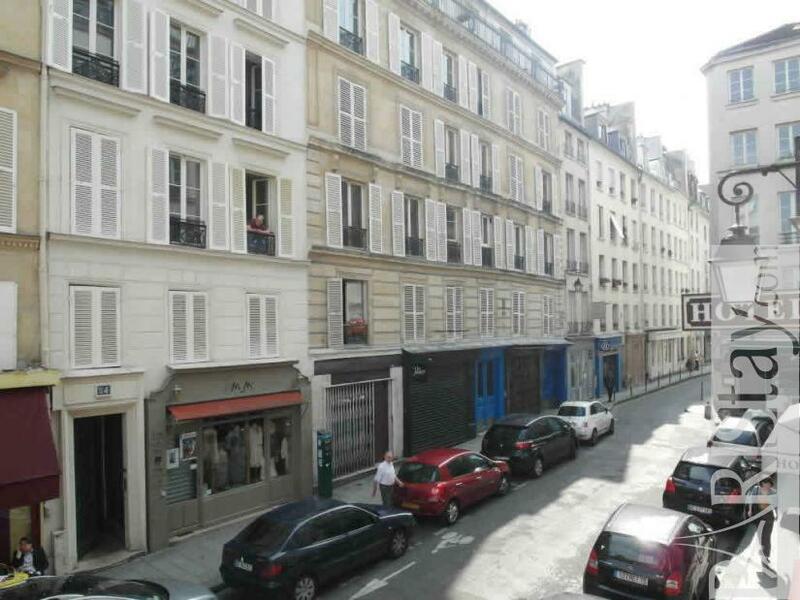 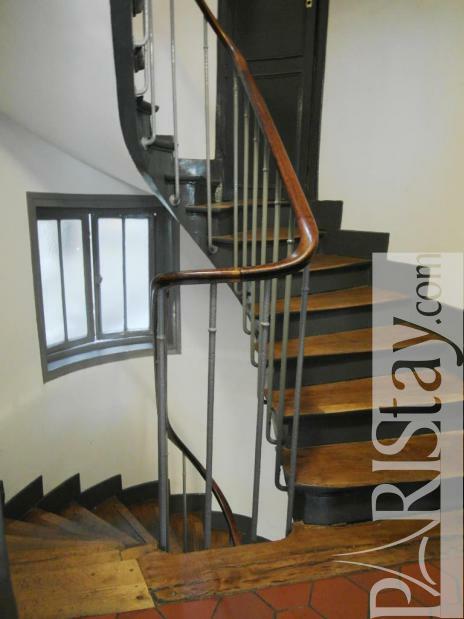 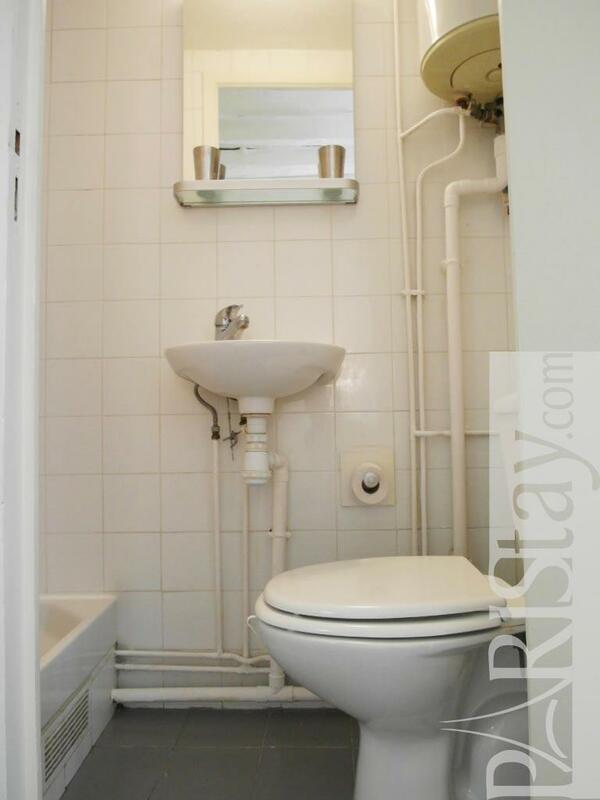 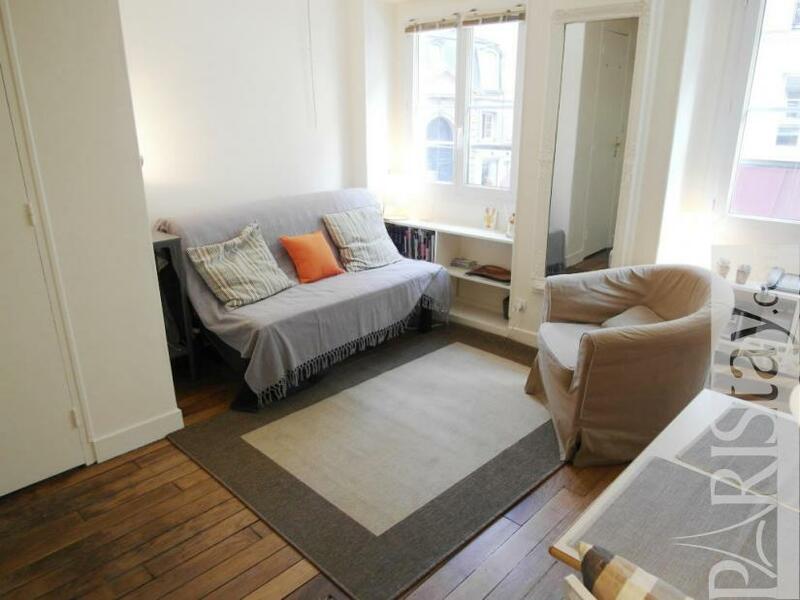 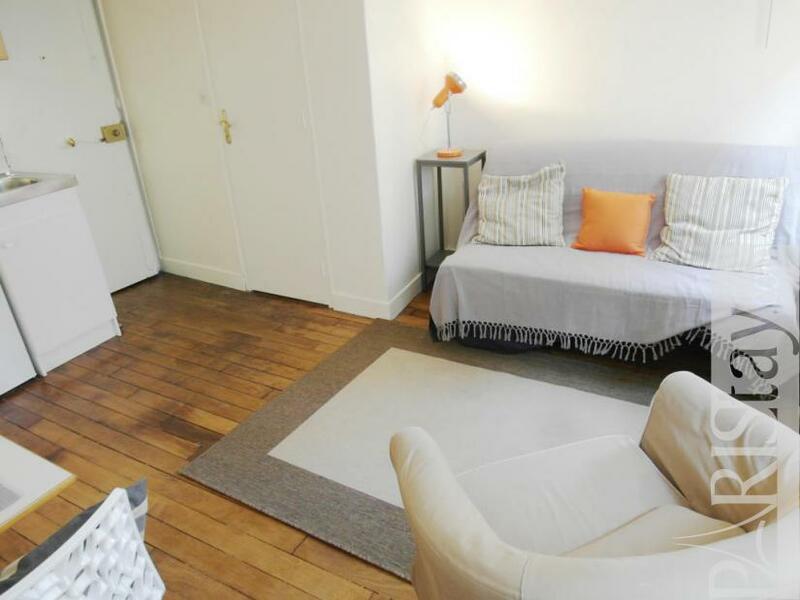 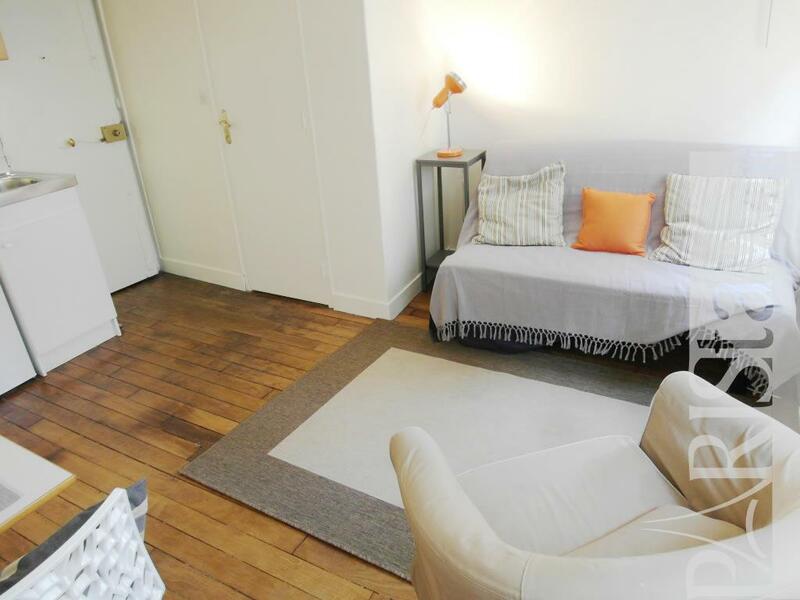 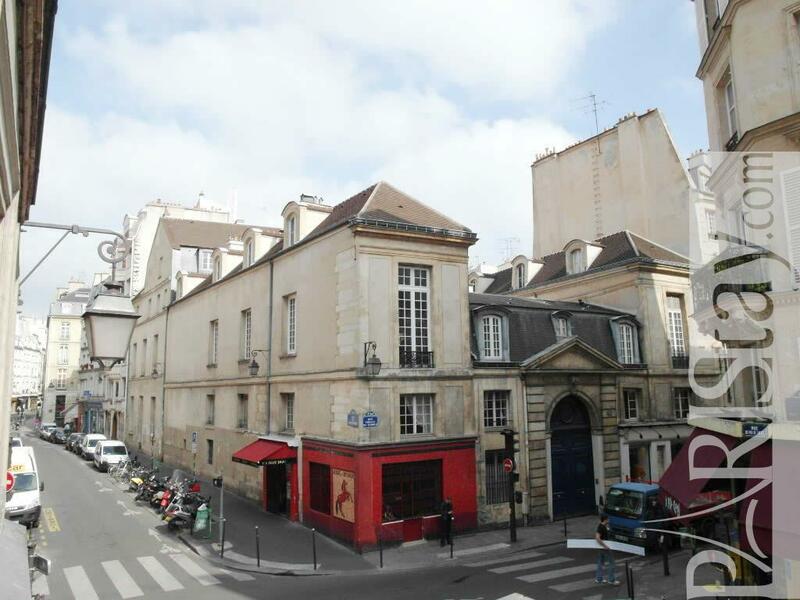 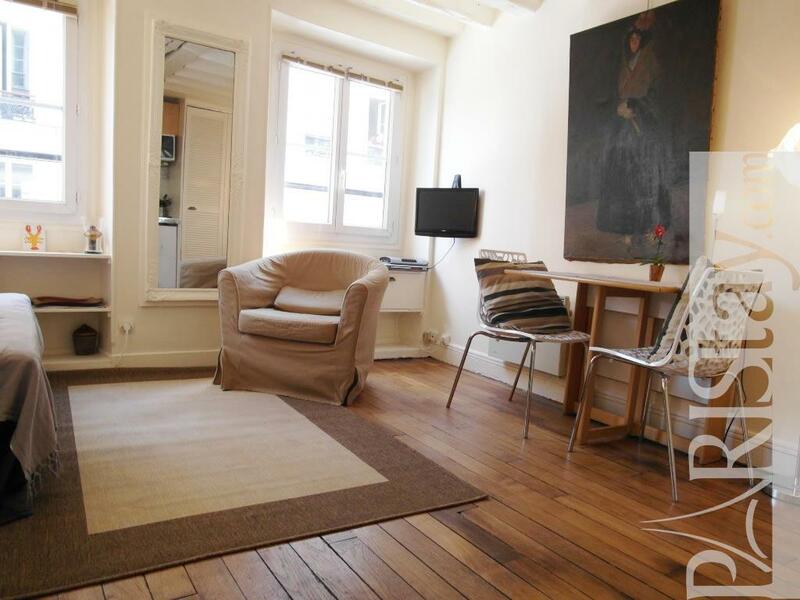 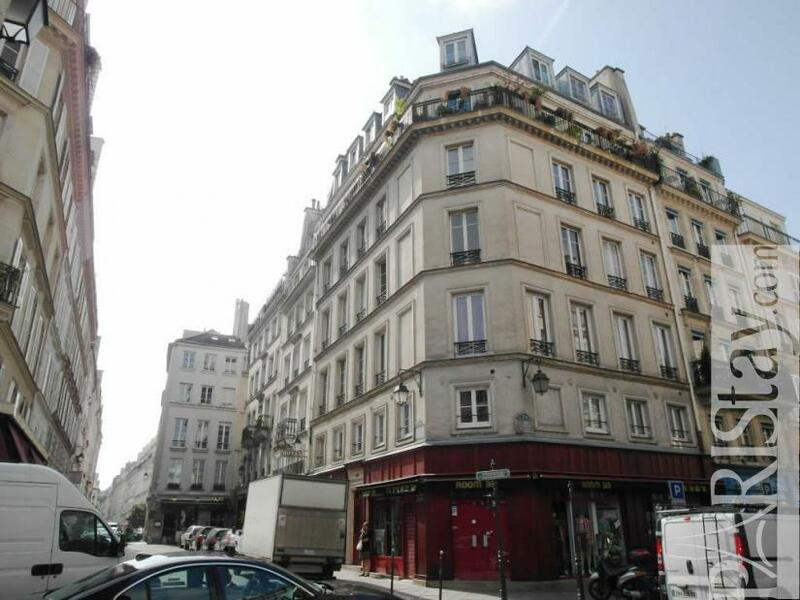 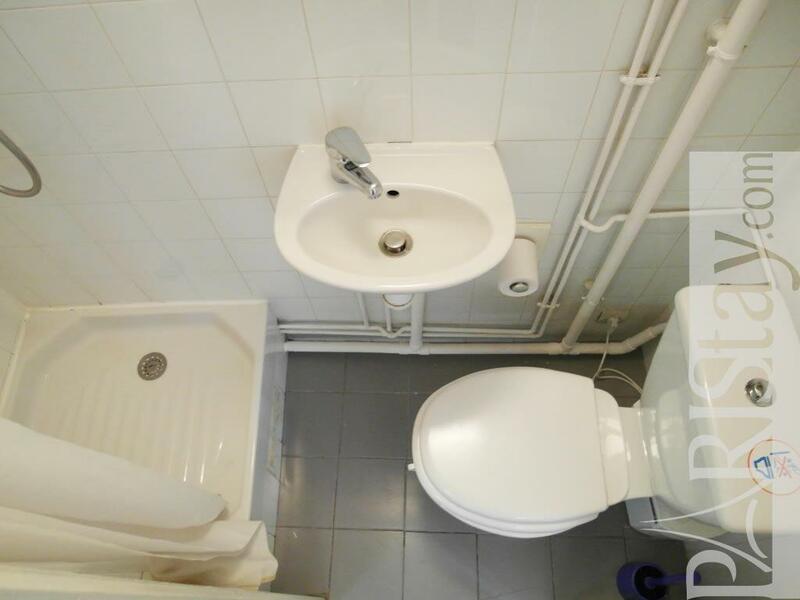 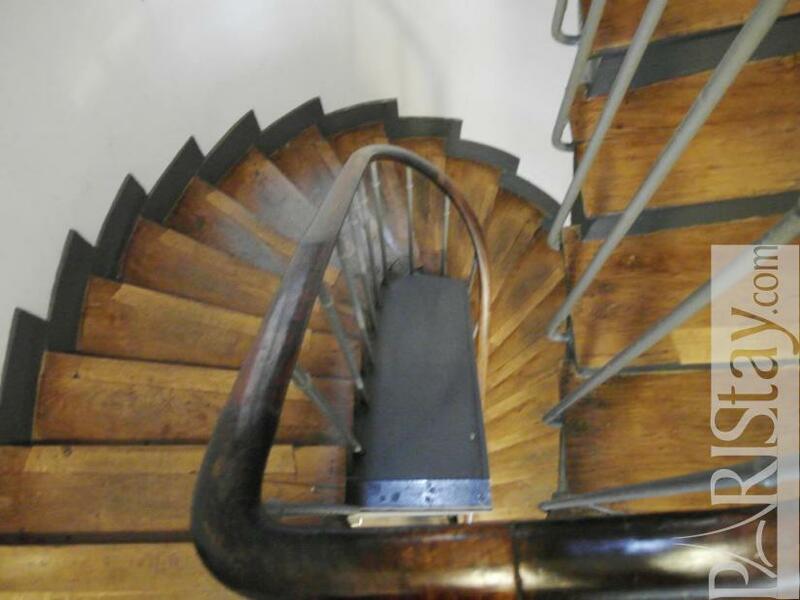 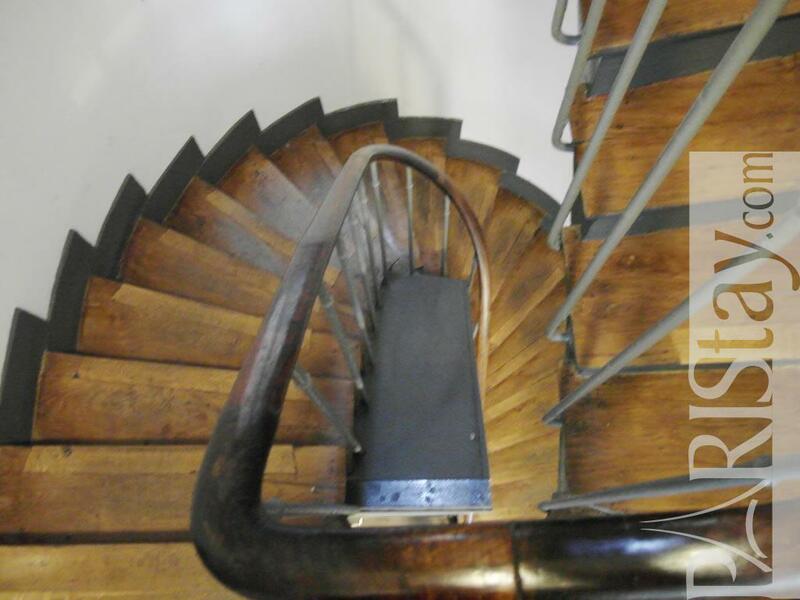 This original apartment for rent in Paris has a pratical central location. 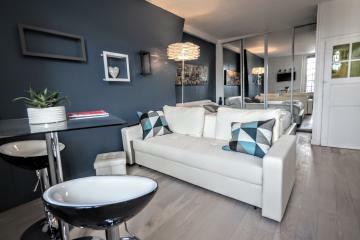 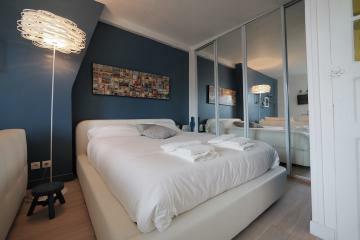 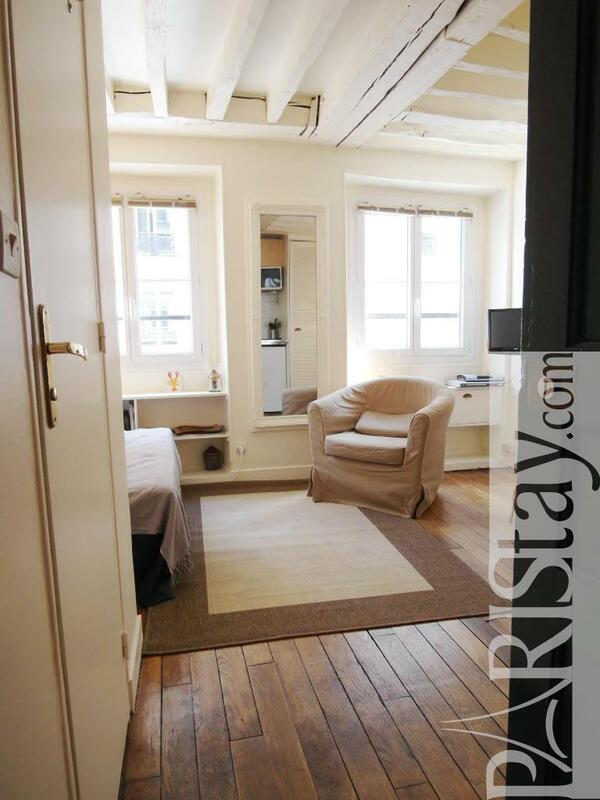 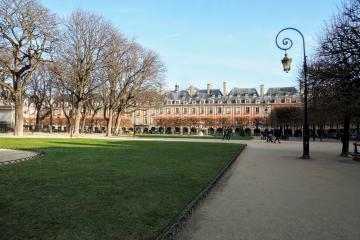 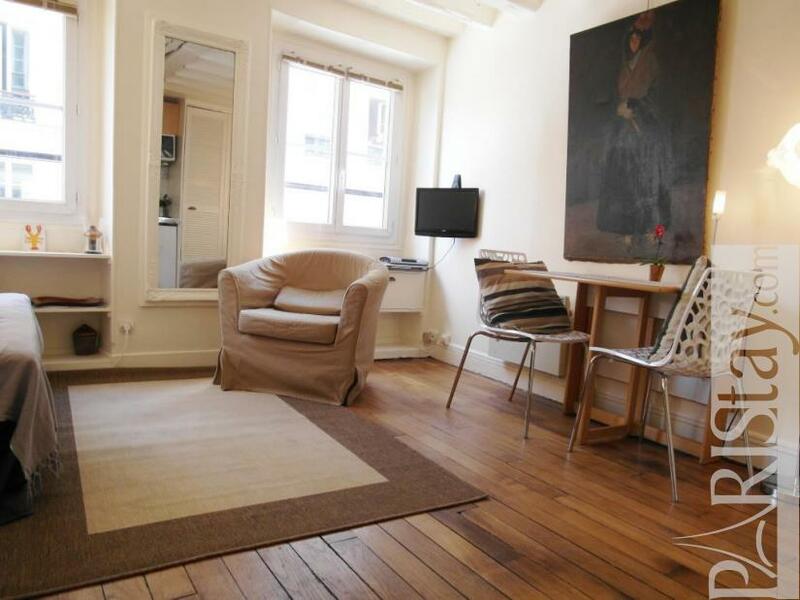 Situated in the Marais area, next to the Place des Vosges, this newly renovated studio is perfect your stay. 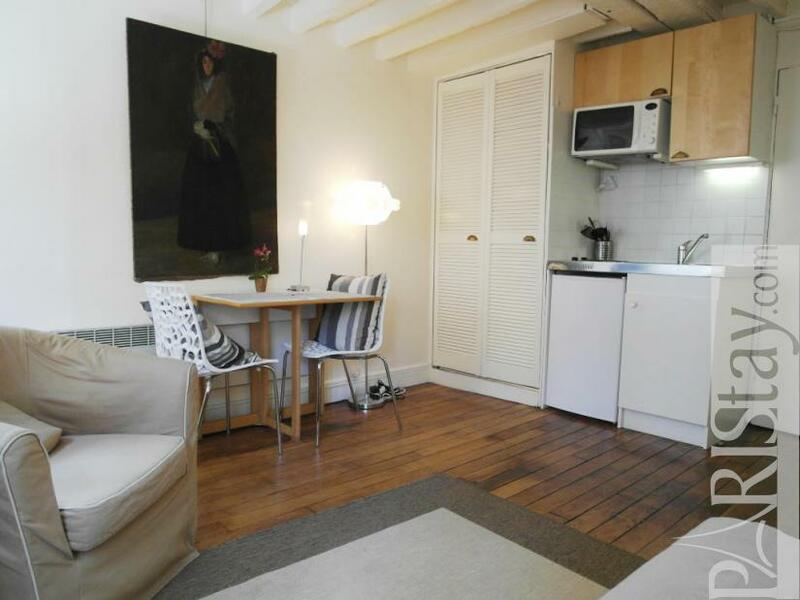 The studio is set on the first floor in a building dating back to the 18th century. 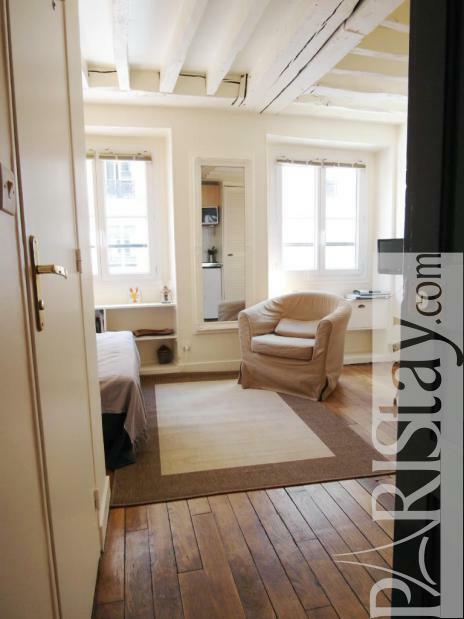 Thus you will find an exceptional setting of visible beams and paintings. There is an open kitchen with all the utilities anyone will ever need to cook a good meal. There is also a convertible sofa bed. 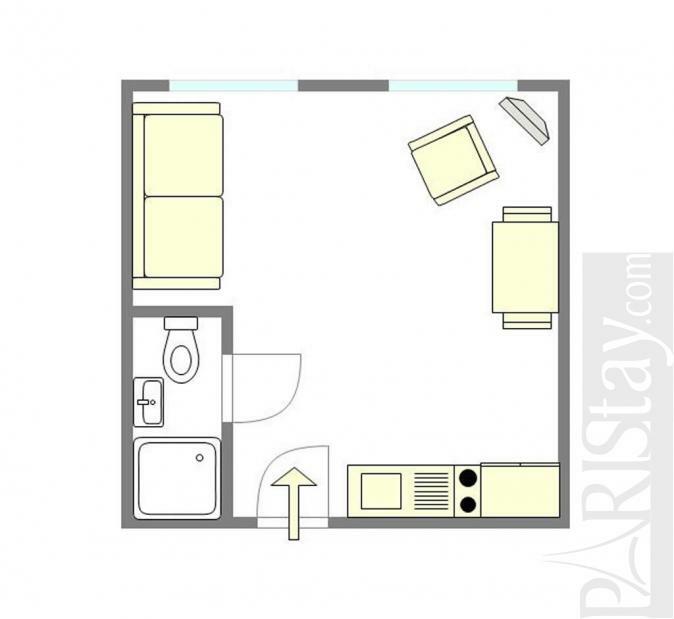 Ideal for a long term rent you will be like at home. 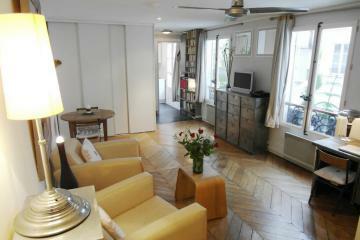 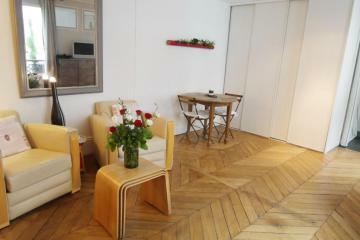 18th's Building, 1 st floor, without Lift, entry code security system, Studio Appartement, furnished, Approx: 15m² / 161 Sq.Ft.